Do you know how to capture YouTube video to computer and even on mobile devices like iPhone, iPad, iPod, PSP, etc.? See how here. Most YouTube fans would like to enjoy YouTube videos on their computer or mobile devices offline at anytime. How to capture YouTube video on computer or download favorite YouTube videos or music videos for storage or sharing with others become the universal problems. If you are searching for the answers for these issues, we here can help you capture YouTube video to computer (Mac or Windows) and even on mobile devices like iPhone, iPad, iPod, Android Phones and Tablets, Kindle, PSP, etc. We highly recommended iTube Studio YouTube Downloader to capture any YouTube video you want. 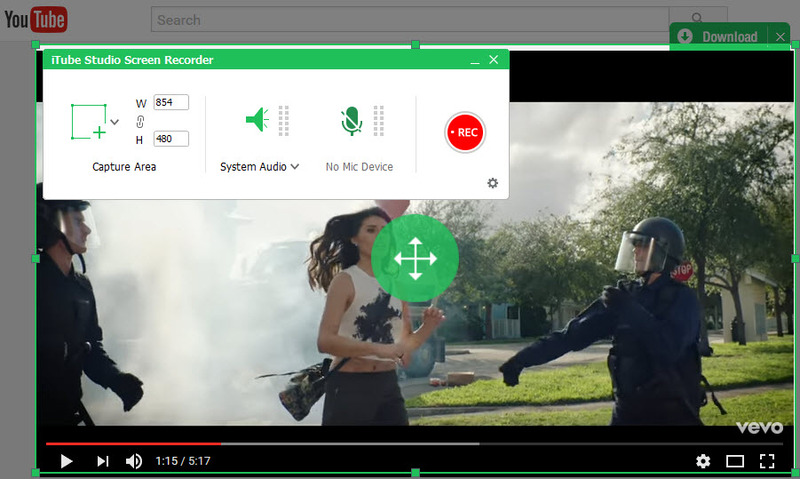 It is free software that will help you in recording your YouTube videos directly on your Mac (macOS Mojave) and Windows 10, 7, 8, XP and Vista. 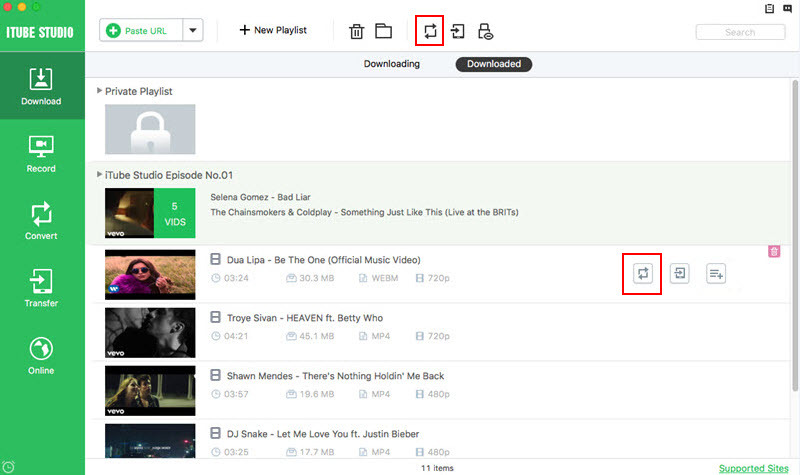 With this free YouTube downloader, you can capture YouTube HD videos and VEVO videos for free at 3X faster speed. 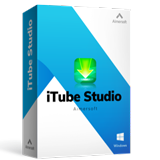 As a video downloader software, iTube Studio provides absolutely direct download from YouTube using download extension plugin or video URL. Besides, you can download from 10,000+ video sharing sites including Facebook, Instagram, Metacafe, Dailymotion, Vimeo, Netflix, Hulu, etc. One click download videos from YouTube and 10,000+ more sites in high quality. Download all videos in a YouTube playlist or Lynda playlist. 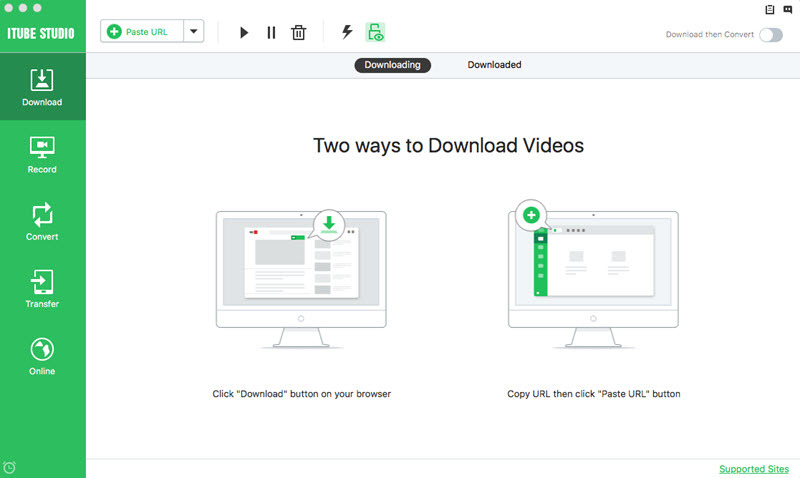 Capture any online video or live sessions from any site, including those unable to download. 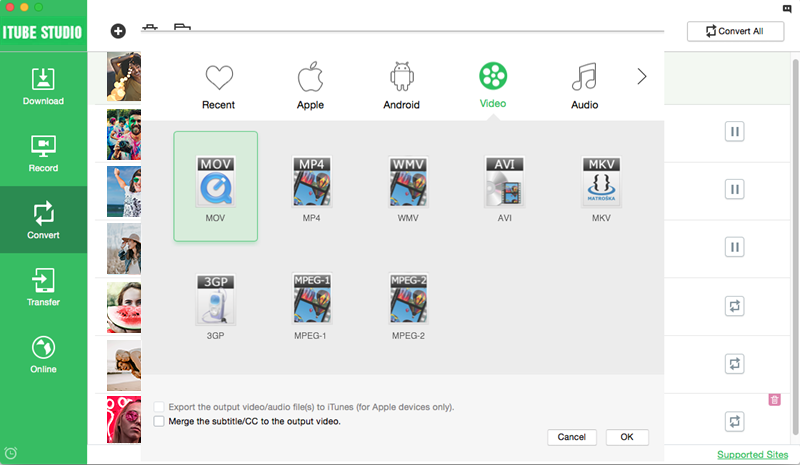 Convert videos to 150+ video/audio formats, even preset for mobile devices. Directly download YouTube to MP3 format saving time in conversion. Equipped with a Private Mode to download videos to a Private List with password. This YouTube video capture software is a easy-to-use YouTube downloader. All you need to do is to download, install, and run it. This video recorder will help you to record and capture YouTube video in no time. The installation is very simple with the help of on screen prompts. After the installation process, the YouTube capture will launch automatically. Now go to YouTube.com and play the video you would like to save. 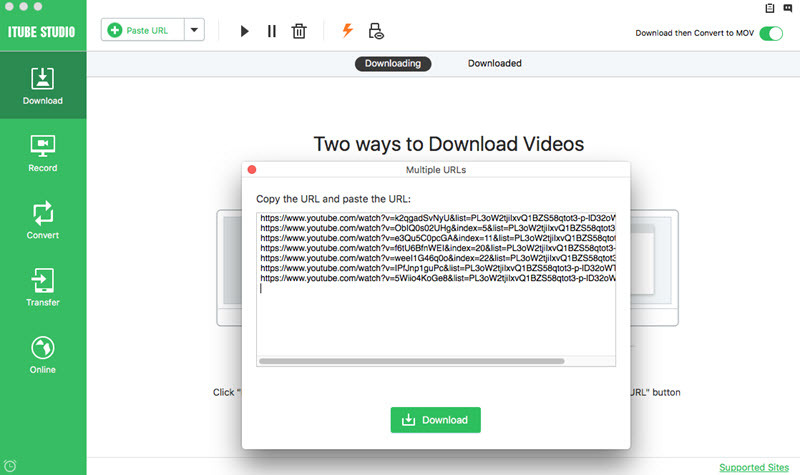 When the video is playing, this ultimate YouTube downloader will provide you with a "Download" button to start capturing YouTube videos to your computer. Alternatively, you can simply copy and paste the YouTube URL to the program to download the video. Or you can drag and drop YouTube video URL to the program to initiate YouTube video capture. Also, you can directly record the YouTube video. Turn to the Record option on the left panel, click Record button, a capture screen will pop up. Adjust the capture area by dragging the frame, then hit the REC icon when you get the screen ready. You should remember that all the original YouTube videos are in FLV file format, which cannot be played on almost all portable devices. You should have to convert your captured YouTube videos first from your computer to the universal MP4 file format, and it is then ready to be transferred on any of your portable device, such as iPod, iPad, iPhone, PSP, PS3, and more. To convert YouTube videos, you first need to add the downloaded YouTube videos to the "Convert" menu. You can do that in the "Download" menu and open "Downloaded" tab to click "Add to Convert List" icon. And go to the "Convert" menu and click the "Convert" button to select an output format to convert the videos to another format or device. After the conversion, you can go to the "Transfer" menu and connect your device to the computer to transfer the video to your iPhone and Android devices. You might find some online tool to capture YouTube video online. However, this online solution will come with many limitations like only 1 video can be support at a time, reduce the video quality, limit the video size, or support less output format. While YouTube capture will help you to download multiple videos at one time, keep the original video quality and make YouTube video playable on almost any devices and editable with video editor. 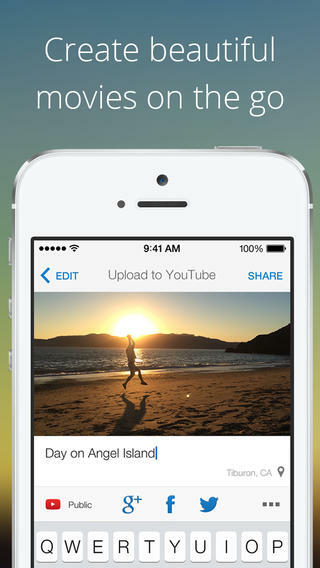 YouTube captures for iOS enables you to record videos from YouTube and share them with your friends and family. 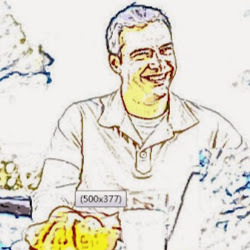 This app lets you start recording in snap. Once recording is finished, you can edit it from your iPhone directly. You can add more click by pressing + icon on the app. It allows you to capture moments instantly after clicking on the recording button. It enables you to add a soundtrack from your personal music collection on your iPhone. Once you have recorded and been ready you can upload these videos to YouTube, share on Twitter, Facebook and Google+ in just one click. Capture YouTube videos directly from the mobile. You can upload videos to YouTube and share videos with your friends on Twitter, Facebook and Google+ directly from the mobile itself. Apps stop working while recording and sometimes recording pauses automatically without saving. Not able to download HD videos in the perfect quality and they looks very bad after recording.